Chess - makes use of various chess openings. A chess opening is the group of initial moves of a game (the "opening moves"). Recognized sequences of opening moves are referred to as openings and have been given names such as the Ruy Lopez or Sicilian Defence. They are catalogued in reference works such as the Encyclopaedia of Chess Openings. There are dozens of different openings, varying widely in character from quiet positional play (for example, the Réti Opening) to very aggressive (the Latvian Gambit). 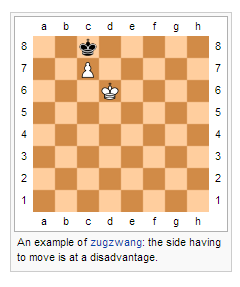 In some opening lines, the exact sequence considered best for both sides has been worked out to more than 30 moves. Professional players spend years studying openings and continue doing so throughout their careers, as opening theory continues to evolve.